Martin Luther (November 10, 1483 – February 18, 1546) was a German monk who became the father of the Protestant Reformation. Martin Luther criticised aspects of the Catholic Church and the concept of Papal infallibility. In particular, he believed that it was the Bible alone – and not priests or the Church – which had legitimacy for interpreting the word of Christ. Martin Luther also translated the Bible into German, making it more accessible to the general public. Martin Luther was born 10 November 1483, in Eisleben, Saxony (modern day Germany). His father was relatively wealthy and paid for his son to gain an education in Magdeburg and Eisenach. In 1501, Martin Luther became a student at the University of Erfurt. At the request of his father, he took law, but he soon abandoned law, preferring to study Aristotle and the subjects of philosophy and theology. Despite admiring aspects of Aristotle and the classics, he was unsatisfied with just reason and intellectual studies and decided to become a monk so he could devote his life to God. His time as a monk was challenging. Luther engaged in severe austerities – fasting, long hours of prayer and frequent confession, but he felt an inner spiritual dryness. 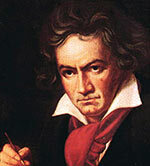 He became very critical of his own failings and felt his sinful nature becoming magnified rather than transformed. Sharing his difficulties, his spiritual director gave him more work so he wouldn’t become so introspected. 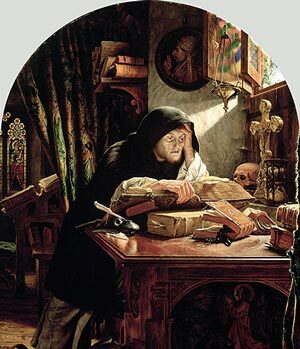 As well as being aware of his own failing, he became increasingly concerned about malpractice within the church, which he felt was not in keeping with Biblical scripture. In 1510, he visited Rome on behalf of Augustinian monasteries and was shocked at the level of corruption he found. In 1517, Martin Luther first protested to the Catholic church about the sale of indulgences. (Buying an indulgence gave the person full or partial remission of temporal punishment due for sins which have already been forgiven). Martin Luther argued that is was faith alone that could provide the remission of sin and not monetary payments to the church. During 1519-20, Martin Luther continued his crusading attack on the Church, developing his thoughts on what constituted ‘true Christianity’ Pamphlets included; ‘On Christian Liberty’, ‘On the Freedom of a Christian Man’, ‘To the Christian Nobility’ and ‘On the Babylonian Captivity of the Church’. However, by that time, the criticisms of Martin Luther had already been widely distributed and found a receptive audience. With the help of the newly invented printing presses, the Reformation movement gained in strength and popularity. The Catholic Church would never maintain the same unchallenged authority in Europe again. Across Europe, Luther’s challenge to the authority of the church led to new religious thinking and a desire to break away from the old church, creating a Christianity which returned to the purity of the Bible and diminishing the role of the Pope and priests. In 1520, Martin Luther was excommunicated for refusing to recant 41 sentences from his writings. In April 1521, the enforcement of banning Luther’s writings fell to the secular authorities. Luther acknowledged he was the author of the writings but again failed to recant them. Saying he would stand by them. During 1524 – 1526, there was a widespread peasants revolt in Germany and Central Europe. The revolt, which had a mixture of economic, social and religious causes was often supported by Protestant clergy who emphasised the equality of all people. However, Martin Luther vigorously opposed the Revolt, writing a pamphlet Against the Murderous, Thieving Hordes of Peasants, which made his opposition clear. From 1531–1546, Martin Luther’s health deteriorated as he sought to struggle with growing conflict in the Reformation Movement and the constant fear of arrest by the authorities. As his health deteriorated, Martin Luther’s writings became more polemic and vitriolic in condemnation of other people. In these final years, he spent more time writing anti-Semitic tracts. At first, he wished to see the Jewish people converted to Christianity. But, when they seemed uninterested in conversion, he called for the force-able removal of Jews from Germany. This strong anti-Semitic stance has coloured his reputation as a reformer. People of the Protestant Reformation A list of some of the most influential people in the Protestant Reformation, which saw a break from the Catholic Church to create new Protestant Christian religions. Includes John Wycliffe, Martin Luther, Jan Hus and Desiderius Erasmus. Citation: Pettinger, Tejvan. 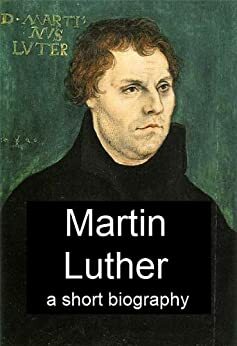 “Biography of Martin Luther”, Oxford, UK – www.biographyonline.net. Published 3rd August 2014. Last updated 3rd March 2018.